Veloz Powersports, Inc. is a fully licensed and bonded Authorized Powersports dealer in the state of Texas. We are one of the largest motor sports dealers. Our goal is to provide our customers with the best quality on road/off road vehicles at the lowest competitive prices. We import our products directly from the manufacturer to ensure that we can offer you the most competitive prices in todays market. Because of our strong ties with leading manufactures and our ability to consistently research the market for the best quality products and lowest competitive prices, we are able to pass the savings on to you!! Dealing directly from the manufacturer allows us to get newly released products before any of our competitors. If you find an item with an online dealership that has a lower price than ours, It is simple. Just send us the link...and we will match it!!! Many online stores act as fulfillment houses. This means they do not stock the merchandise that they sell. We at Superior Powersports stock our own merchandise in our very own showroom. This means better inventory control, faster processing and quicker delivery time for you, the customer. Whether you are shopping with us for the first time or you are a satisfied customer, our goal is to make your shopping experience as informative and as easy as possible. Just like your corner store, we provide you with excellent personal service. If there is an item you are looking to purchase that is not advertised on our website, please give us a call or email us the link and we will make sure to find what you are looking for. In addition to our online services, you can call our toll free number at 1-866-756-1858 and speak to one of our experienced customer service representatives for more personal and spontaneous assistance. Superior Powersports have the latest models and top quality of affordable ATVs here in our store. Our ATVs are of the highest quality in the market. We check every ATV before we ship to you! 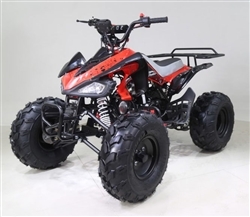 We carry Kids Atvs, Youth Atvs, and Adult ATVs from 110cc ATVs, 125cc ATVs, 150cc ATVs, 250cc ATVs, 300cc ATVs, and 400cc ATVs. Most of our ATVs comes with safety feature, newest design, high quality performance engine. We also have variety of styles from sports ATVs to utility ATVs. Our ATV sells retail for a much higher price, but since we are a direct importer, we at Superior Powersports buy this ATV directly from the manufacturer and stock them here in our warehouse in California, this is why we are able to offer our ATV at huge discounted price so you can get the cheapest ATV price on the market. See More of Our ATVs Here. Superiorpowersports.com have the latest models and top quality of affordable Dirt bikes here in our store. Our dirt bikes are of the highest quality in the market. We check every unit before we ship to you! We carry huge selection of Dirt bikes, from Kids Dirt bikes, Youth Dirt bikes, and Adult Dirt bikes from 110cc Dirt bikes, 125cc Dirt bikes, 150cc Dirt bikes, and 250cc Dirt bikes. All of our dirtbikes equipped with high quality performance engine. We have variety of styles from sporty off-road to enduro style, all imported directly from the manufacturer to give you the cheapest dirt bikes price. See More of Our Dirt bikes Here. With gas prices keep rising higher and higher every year, more and more people are swapping their gas-guzzling cars for more wallet-friendly scooters. Superior Powersports carry the latest models and highest quality of affordable scooters and mopeds here in our California store. Our scooters and mopeds are of the highest quality in the market. 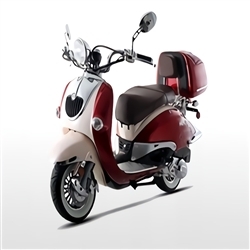 We have huge selection of scooters and mopeds, from 50cc scooters, 150cc scooters, and 250cc scooters. We have many styles to choose from classic scooters, vintage scooters, and sporty scooters. Our scooters equipped with high quality performance engine, durable suspension systems, and fully automatic transmission. Many of them also comes with safety alarm and rear storage pod. Superior Powersports imports all our scooter directly from manufacture to ensure you have the cheapest scooter price on the market. See More of Our Scooters Here. We are once again honored to participate in LA County , City of Industry Police Department annual holiday celebration event. We want to appreciate the men and women in the police department assigned to protect and serve our country. The annual event has been a tradition for many years and is a way to acknowledge the work of the many dedicated public servants who serve the thousands of residents in this area of the San Gabriel Valley. Congratulations to Gonzales Family for your new 2015 ATVs and for winning our monthly drawing for free ATV helmets. We are grateful to have you as our repeat customers since 2007. We hope that the kids enjoy their new ride.